Having climbed from its 2008 debut to number two on Nissan's sales charts, the Rogue is all-new for 2014. It's the only compact SUV with a standard CVT, and it continues to offer an extensive array of tech features such as an available 360-degree Around View Monitor. But the biggest news is the addition of a 3rd-row seat option. Proud and content owner of a Nissan Rogue. 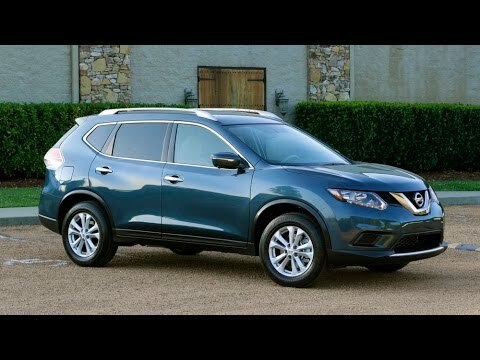 I bought my Nissan rogue used about seven months ago. It has been a very reliable vehicle and no issues of any sort mechanically or otherwise. I love the size of it and appreciate that it is larger than a car but not difficult to handle or maneuver like some larger vehicles. Some SUVs have a little bit higher MPG. This is one of them. Although this may be a hindrance to some, I only use my vehicle for shorter trips or errands so I'm only slightly affected. This vehicle has the power you need to maneuver and the space to take a decent size load of necessities on a trip. This is not the most comfortable for adult passengers in the back seat so be aware for long drives with a car load. Overall I enjoy this vehicle. Nissan Rogue with third row. I love the gas mileage and the small third row seating. Unfortunately the third row is super small but it is enough room for a kid. I feel like I hear a lot of road noise in the car when going down the highway. I had trouble with my ac but finally took it to a non Nissan repair shop and they found out why the ac kept breaking. The car does not handle well on wet roads and tends to hydroplane. It handles snow and ice like a champ though! It rides smooth and is comfortable over all. The bluetooth feature can get annoying. If I leave my car running I have to remember to turn off the Bluetooth on my phone or it will stay connected and I cannot use my phone. It's a piece of junk so I really can't give you any highlights on it. Have had problems with the car. Brand new car and the fuel pump went out three months after I had it. Had to put new tires on it after only 25, 000 miles. Had to put new windshield wipers on it after only about 10, 000 miles. The paint already has spots of rust on even though it is in a garage. Every time I take it to the dealership they have excuses. Now they r saying I need new rotors because there bad. I really thought that a Nissan was a good car but I will never buy one again. The back plastic keeps coming undone and I have to keep smacking it back in place. I think it's nothing but junk and if I could get my money back on it I would.